As a published author of three books, Mark J. Lindquist has found a niche within the book business that his audiences are excited about. In today's fast-paced 140 character society, Mark brings you a collection of literature with a welcome respect for brevity. "If I can't communicate my idea in 15,000 words or less, then I should stop writing." CEO's often ask Mark to deliver a keynote at their annual meeting or retreat. The #1 issue he is asked to address is a workforce that needs a jolt in the arm. 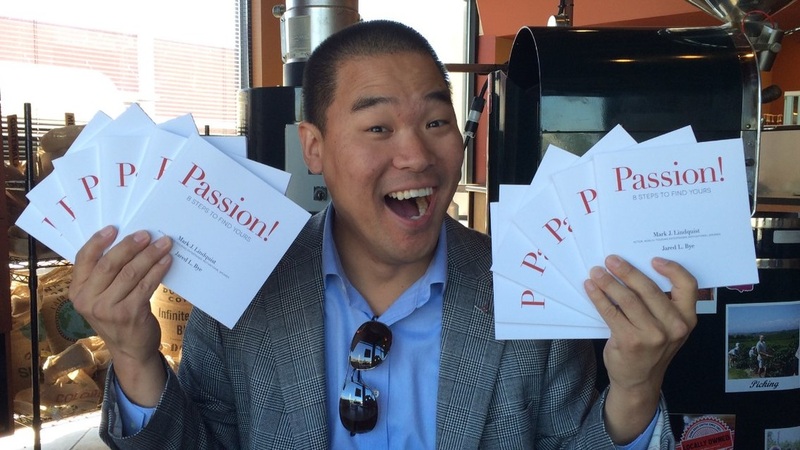 He finds that employees need to re-ignite the passion that brought them into the workforce in the first place. This book was written specifically for that professional who is searching for that spark in their life once again. Passion! 8 Steps to Find Yours was written because recent studies show that only 11% of people have passion for what they do. Inside this book Mark teaches you his playbook to discover your passion and live a life doing the things you love.